In Dupont’s debut thriller, miners want to hold onto gold they discover, but when others want a cut, it leads to kidnapping and death. Mining supervisor Joe McDonald initially isn’t sure what to do with the gold vein that his son, Rod, stumbled upon in a Red Lake, Ontario, mine. But when the manager of mining company Knoxgold tells him that they’ll be cutting bonuses for workers, Joe makes a decision, and he, Rod, and Joe’s nephew, Simon, covertly extract the gold that they feel the company owes them. After Joe is injured by an accidental explosion in the mine, he’s forced to bring in Mat Montgomery, an industrial photographer and former miner. 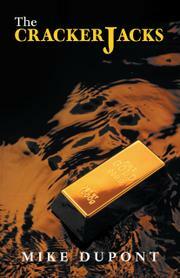 Joe must also find someone to process the ore and a buyer who won’t ask too many questions about the gold’s origins. He and his group keep mineralogist Jake Vance largely in the dark, but when Jake realizes the illegitimacy of the gold’s source, he quickly renegotiates his fee. Joe and his friends are suddenly faced with a dwindling cache and are forced to deal with a shady South American gold trader—as well as a pesky neighbor complaining of morning explosions. The group retains a firm grip on its profits, but when people end up dead and a surprise kidnapping occurs, it becomes clear that the men will be lucky just to stay alive. The novel painstakingly details the process as the original trio take out the gold, which provides a notable precursor to the ultimate collapse of the careful scheme. Joe, a widower, is smart and charming enough to make readers forget that he’s a thief. His love interest, office manager Kate Morrison, however, is a bit thin; she forgoes a payout so long as Joe supports her financially. Dupont drops in a few impressive shockers, including character deaths, none of which are murders. Some of the obstacles the group faces are refreshingly unexpected; at one point, for example, the miners must retrieve a corpse floating in open water so that its discovery won’t lead someone to a nearby stash of gold. The ending wraps up everything in a nice bow, but Dupont makes it abundantly clear that greed doesn’t lead to a happy resolution for everyone. A noteworthy, delightful tale of a deceptively complicated plan unraveling.